EUSTAFOR’s Policy and Communications Advisor Appointed! 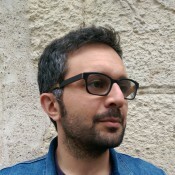 Salvatore Martire has joined EUSTAFOR as of 1 September 2016 as Policy and Communications Advisor. Dr. Martire holds a PhD in Environmental Science and has gained wide expertise in the field of sustainability and bioeconomy with a focus on forestry and the forest-based sector, working as a researcher in Italy, France and Finland. In addition, he has gained experience with European policies and decision-making processes while working at the European Forest Institute in Joensu, Finland. Dr. Martire will support the policy-related activities of EUSTAFOR and will contribute to the communications activities of the association in Brussels.